Last Thursday, (July 14) at the University of Arkansas at Pine Bluff (UAPB) North Little Rock Campus (1333 Main Street, North Little Rock), the Minority Initiative Sub-Recipient Grant Office (MISRGO) awarded anti-tobacco grants, ranging from $35,000 - $65,000. Eighteen organizations from across the state received funding to support their leading efforts in effective community-based tobacco prevention and cessation strategies. The MISRGO at UAPB was established in 2002 as an initiative of the Master Tobacco Settlement Agreement. The Office is responsible for addressing the devastating effects of tobacco consumption within Arkansas’ minority communities by preventing the initiation of tobacco use among youth, promoting cessation among youth and adults, eliminating exposure to secondhand smoke, and identifying and eliminating disparities from tobacco use among different population groups. Guest speakers included Dr. Calvin Johnson, Program Director, Minority Initiative Sub-Recipient Grant Office; Miriam Karanja, Interim Chief, Tobacco Prevention and Cessation Program of the Arkansas Department of Health; and Dr. Marian Evans, Program Coordinator, Minority Initiative Sub-Recipient Grant Office. 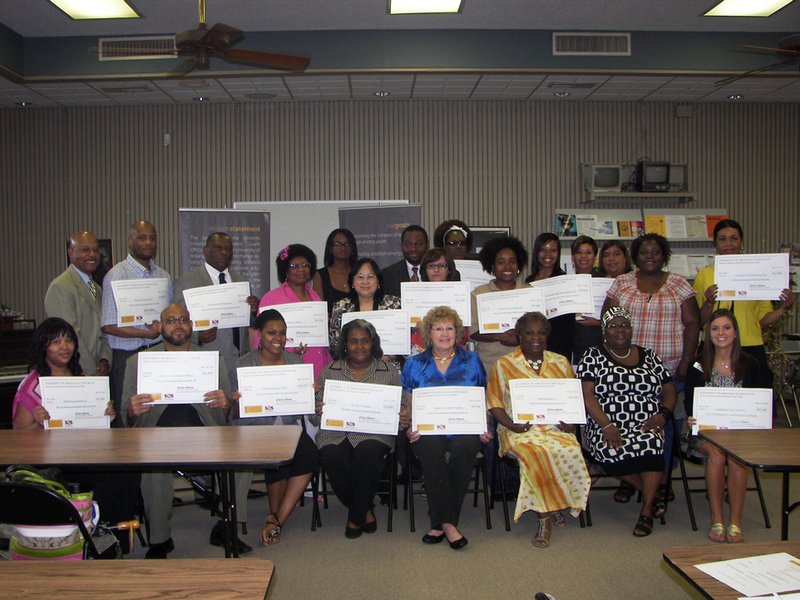 For more information about the Minority Initiative Sub-Recipient Grant Office or to learn more about the recent awards ceremony, call 870.575.8923 or visit www.misrgo.org.